Ordered these along with aluminum rims and the not only look great but protect the wheels from being stolen.......nice product,great price!!!!! Bought this together with the SAWTOOTH wheels and matches the SS lug nuts I bought last year. I notice those SS lug nuts caps starting to split. Chrome lug nuts I think is the way to go. 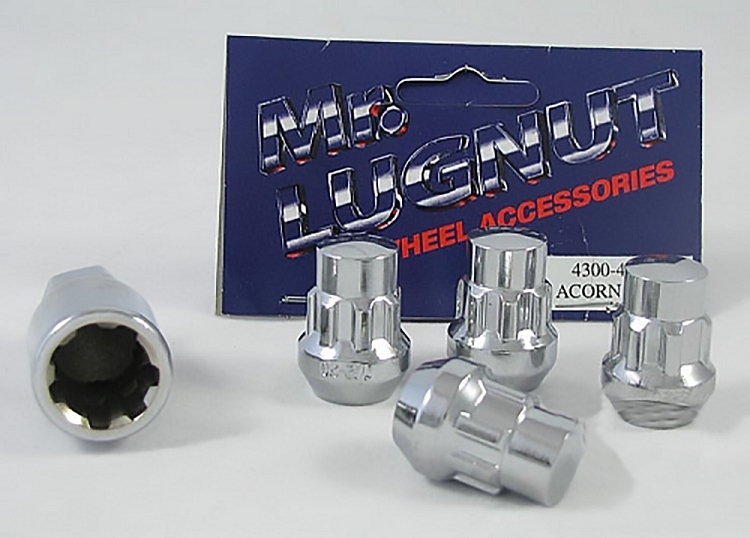 i was looking for a set of locking lug nut to use on my hwt wheels that i have on my ironhorse motorcycle trailer. clearance was an issue, these work great. Quality product at an excellent price. Shoped several stores before buying here. Delivery was quick (3 days). These lug nut locks look and work terrific. Quality chrome plating. Fitment of the security key over the lug nut works much like a socket wrench on a bolt head so torquing the lug nut is a breeze.